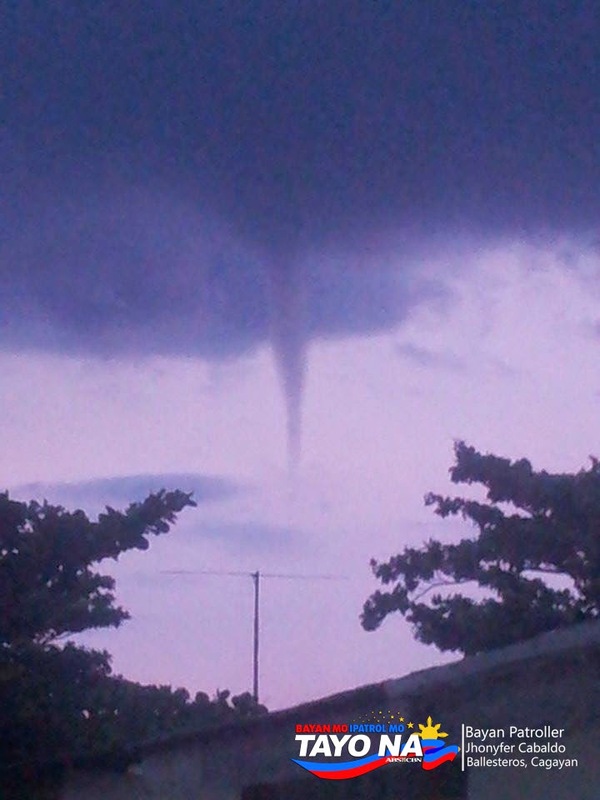 Manila, Philippines - A report from Bayan Patroller Jhonyfer Cabaldo claimed that a tornado hit Ballesteros town in Cagayan province on Tuesday night (June 17, 2014). The photo was published on ABS-CBN News website as part of the 'Bayan Mo IPatrol Mo Tayo Na' (BMPM) campaign of the network. Cabaldo said that he saw the twister and took the photos when he was in front of the Ballesteros Central School. The report says there were no injuries or damage to property from the occurrence of tornado.